Justine Hamill takes pride in leading her yoga students through “a transformational journey beyond anything else that I’ve experienced”. 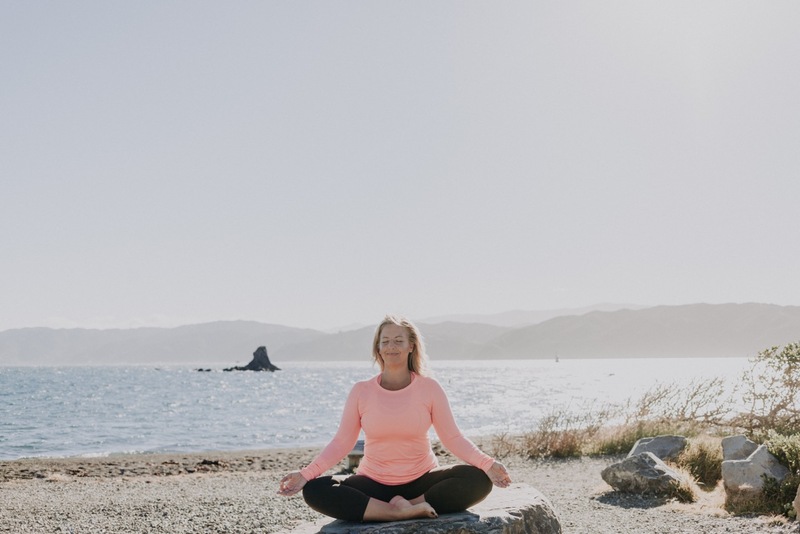 Meet the delightful Justine Hamill, co-owner of Wellington’s Power Living yoga studio and a Senior Facilitator of the Power Living New Zealand team. With eighteen years of Yoga practice under her belt, as well as training in Gestalt Psychotherapy, watching Justine in action makes it obvious that she brings a very deep level of experience and nurturing care to Power Living’s Yoga Teacher Trainings, which she’s been involved with for the last four years. Yoga Teacher Trainings can be a strange beast. They’ve become intensely popular in recent years, and as Justine mentions in this video interview with Kara-Leah Grant, it’s now common for students to sign up for Yoga Teacher Trainings with absolutely no intention of becoming yoga teachers. Why are Yoga Teacher Trainings so popular then? And why would someone bother immersing themselves in a yoga training if they didn’t actually want to teach? And perhaps that’s the most important gift a Yoga Teacher Training can offer their students. Beyond the detailed anatomy and technical skills (which the Power Living training certainly delivers on, with world-class teaching in anatomy, functional anatomy and traditional yogic philosophy), what many yoga students really crave is an inner knowing—a connection to their authentic self—and to be able to share that with the world, which may or may not involve teaching yoga asana. Yoga teacher training is a transformational journey that will challenge you and change your life! Immerse yourself in a weeklong, transformational retreat in Bali – the most powerful component of the training. You’ll practice daily yoga, meditation and leave empowered to rise through challenges in life as you step into your most powerful, authentic self! You’ll explore yogic philosophy, study the body & alignment through anatomy lectures and learn to teach a powerful sequence. For aspiring yoga teachers, you’ll graduate ready to teach a class through practice teaching from the outset and live coaching throughout the course. Awesome for dedicated students wanting to learn more, dive deeper into this life-changing practice and take yoga off the mat. On graduation, gain access to the Power Living Teachers Network – a community with the common goal of living a life more connected and full.